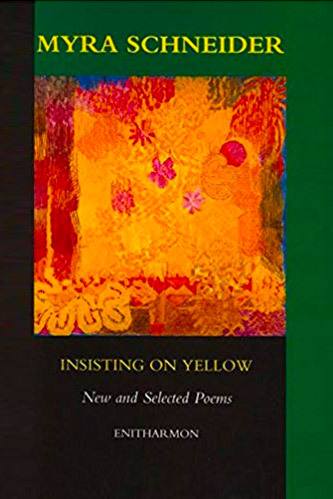 This book, published in 2000, includes most of the best poems from my collections published between 1984 and 1998 and it ends with a substantial section of new poems. Some of these investigate the need for love, others are visions or dreams. There is a sequence featuring parts of the body, a long poem about Esther Brunstein, a concentration survivor, and a popular poem exploring the very mixed character of my father: Soup and Slavery. in your parents’ battle for power. which mantles the courtyard, its white doors. that was lived years before you or I were born. I wouldn’t tear it off before it smothered me. in the park behind my house. in a semi full of white doors and carpet. while he held her, hopelessly embarrassed. however generously arms cradled us. hidden faces laid me on a board. leapt up to save and hug my love. and for days food scraped my gullet. whose voices shrank, hid away. release my stream of sounds.